Olu was born in New York, raised in Nigeria, established in Chicago, He has been privileged to work in several destinations across the USA, Europe & Africa. When he is not traveling documenting weddings you can find him on the football “Soccer” pitch or spending time with his family. His photojournalistic style is evident in the moments he captures on your occasion. 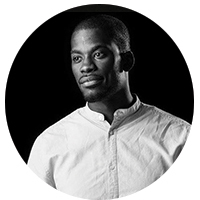 Olu enjoys being around people and telling their story through images. Olu is currently a member of the International Society of Professional Wedding Photographers, National Press Photographers Association (USA), Professional Photographers of America, and Fearless Photographers.